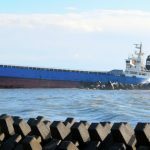 The 499 ton cargo vessel Takamaru ran aground just offshore of Tomakomai City, Hokkaido, Japan. 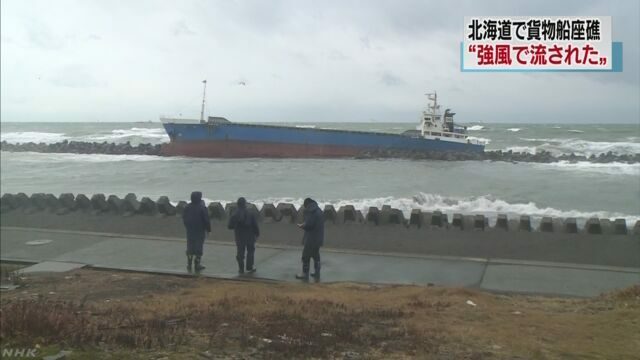 The Takamaru was en route to Tomakomai from Aomori when it was blown ashore by a severe gale. The crew requested assistance which was received by the coast guard. 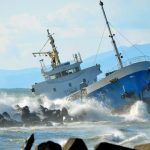 The Coast Guard dispatched a helicopter to the scene and hosted all four crew off the Takamaru to safety. No reports of injuries. Reports state the vessel had sustained damage, but conditions had prevented any inspection. 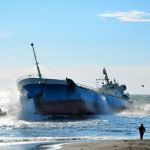 No pollution was reported around the vessel.